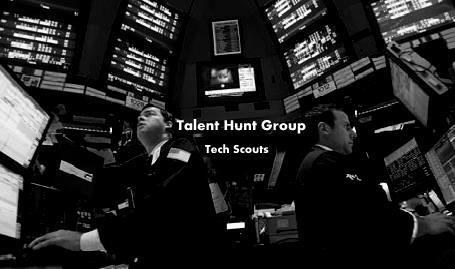 Talent Hunt Group blends emerging technologies and management consulting to help fast growing companies achieve bottom-line improvement. We focus on identifying and attracting technology professionals for internet & digital media services, start-ups & emerging technology based companies. We successfully recruit permanent and contract business professionals for a range of high profile clients. The success of this business is based on understanding our customers exact needs, an ability to leverage our extensive contact network, and a pace of work that makes even a complex search seem quite simple. By bringing a superior level of service to its approach, Talent Hunt Group has earned a reputation for quality and delivery. In the fast paced information technology service industry that is often under-resourced, research is the cornerstone of an executive search business. At Talent Hunt Group we currently employ a ratio of one researcher to each and every targeted search. Talent Hunt Group niche sectors have enabled us to ensure our database is a focused tool. It comprises only those candidates with the requisite business and technical attributes and is consequently an accurate and powerful source of high caliber candidates. We treat every assignment as ‘fresh’ research. This ensures that no assumptions are made and the information we share with our clients has been thoroughly validated. This rigorous approach also allows us to present our clients with real-time market information. Google Code Jam 2013 Registration for Google Code Jam 2013 is now open!